So the last time I tried traditional knitting things didn’t go as planned. Instead I discovered arm knitting. 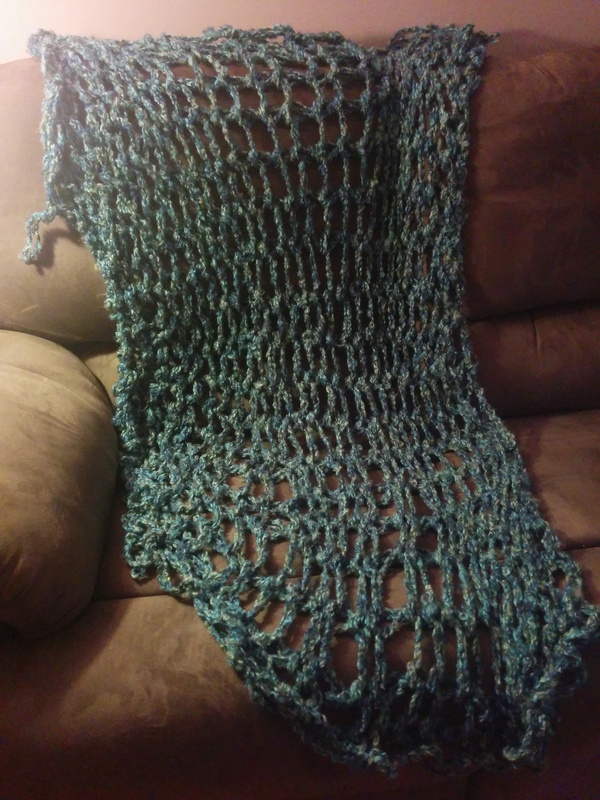 That throw was the first of many that I made for Christmas. The beauty of arm knitting is that it gave me rather immediate results. Within 2 hours I could create a blanket. 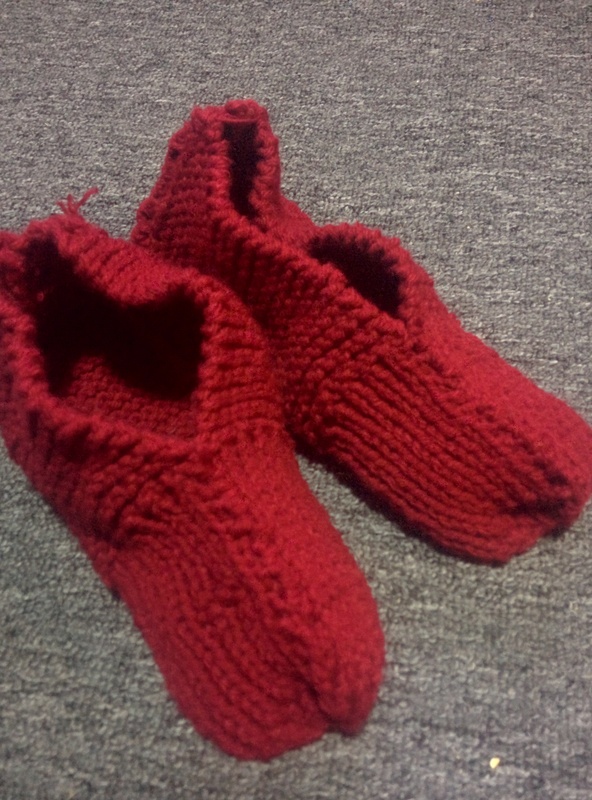 The speedy Slippers aren’t as quick as the arm knitting but within 14 hours I had made these beauties! The great thing about this pattern is that it enabled me to make something useful quickly to build my confidence. I’m not sure how many folks are going to get slippers this Christmas as 14 hours is a large time commitment but it’s nice to know at least one person will get these. Cost:$0 as I got the yarn and pattern gifted to me. I learnt to knit at a very young age. It wasn’t a particularly pleasant experience so I dropped the terrible habit as quickly as I could. As an adult I yearn to knit beautiful things. So I dusted off my “Learn to Knit” book from childhood and remembered why I had hated it as a child. None of these beginner patterns were really for a beginner. Dolls clothing and stuffed toys are really quite advanced when one is just starting! I’m lucky in that I have a friend who has knitted on and off for years. When she becomes interested in something she immerses herself in it. She’ll read every book and blog and watch all videos. The beauty is that she isn’t stingy in her knowledge. Recently I confessed that I’ve never completed a project as they all seem to take a long time and I keep getting muddled. She pulled out her bin of patterns and started her search for something I could do quickly. Speedy Slippers was the pattern she gave me. This has probably been the best exercise so far! I’ve spent at least 7 hours on them and have lost count of the number of times I’ve started over as I can’t figure out how to fix my errors. In the meantime though I discovered what some of my errors are and tricks that help me. I’m learning more muddling through this pattern than making the endless squares of my childhood. Once I get the hang of it I’m certain they will be speedy! Do you Knit? Any tips or tricks to guide me?